By now, your 11-month-old baby is starting to get a little more adventurous and is likely starting to wander a little more. Your baby is now probably starting to show more and more of or a toddler personality than that of a baby. They are able to understand requests that are being asked of them and can even understand signs associated with certain actions and words. 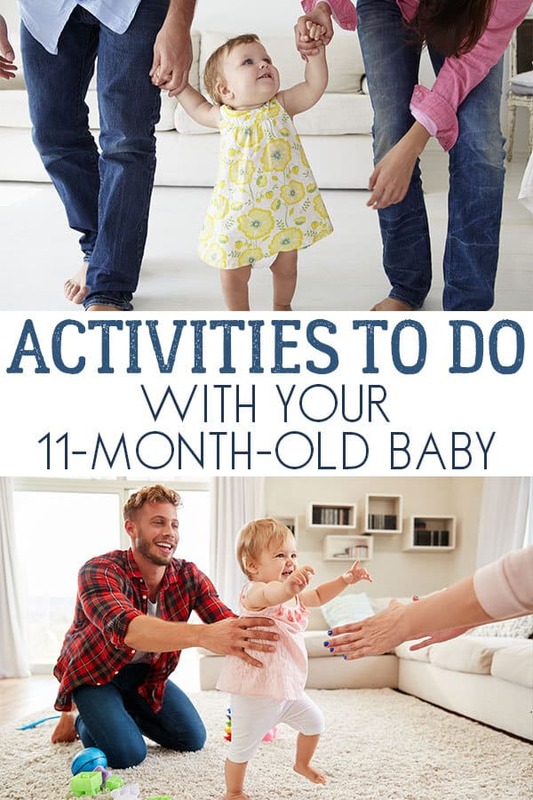 Here are a few activities to do with your 11-month-old baby. 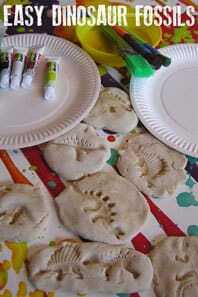 These simple things to do with your little toddler/baby are aimed at the average development for this age. However, each baby develops at different rates some of these ideas maybe beyond them and others too simple check out the other activities to do with your baby that span the months from newborn through to 1 year old and pick and choose activities that work. If you are concerned with your babies development then please seek advice from a medical professional they are best equipped to give you advice and recommendations. 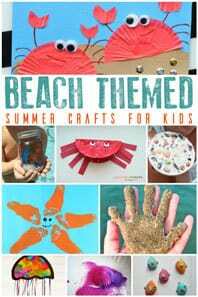 However, the best thing to do is have fun so let’s get on with these simple ideas to play with your baby. The hokey cockey is a classic kid’s game and will teach your kids about rhythm, language, music, and help develop their gross motor skills. 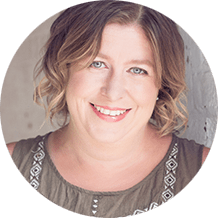 You don’t need any special supplies or tools, just your own voice! 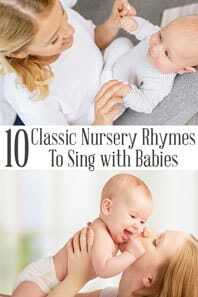 If you aren’t familiar with this song, the hokey cokey works by singing a song in which your baby will do the actions. For example, while singing “you put your left hand in”, put your left hand out front so your baby can see it. After a few times, they will start to copy you. 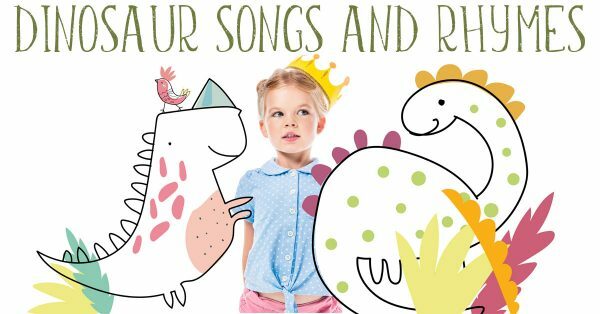 If you have discovered that your little one loves dinosaurs then check out our dinosaur version of this popular song in our Dinosaur Songs and Rhymes. During this age range, the classic stacking blocks activity is going to be great for teaching your baby fine motor skills. All you need are some building blocks or stacking cubes. 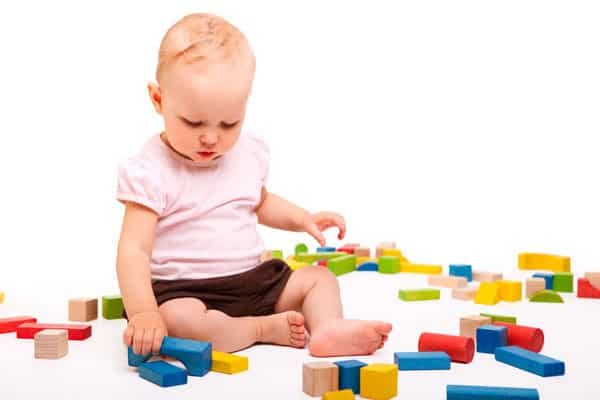 Let your baby build towers with the blocks and then knock them down. This simple little activity has so much replay value and can be played over and over again. To be truthfully both my babies much preferred the smashing down the blocks than building them up. This was especially annoying for my 2-year-old when the almost 1-year-old decided to do it to his towers! Teaching your baby about colours is going to be so much more than just telling them about the colours. Start by first telling your baby about what colour each object they interact with is. For example, if they are playing with a toy car. Label the object by telling them that the car is (insert colour of the car). This will be an easy way for them to start to associate colours in the real world. It’s a great time to get out the paints and talk about the colours that they use to create marks on the paper. 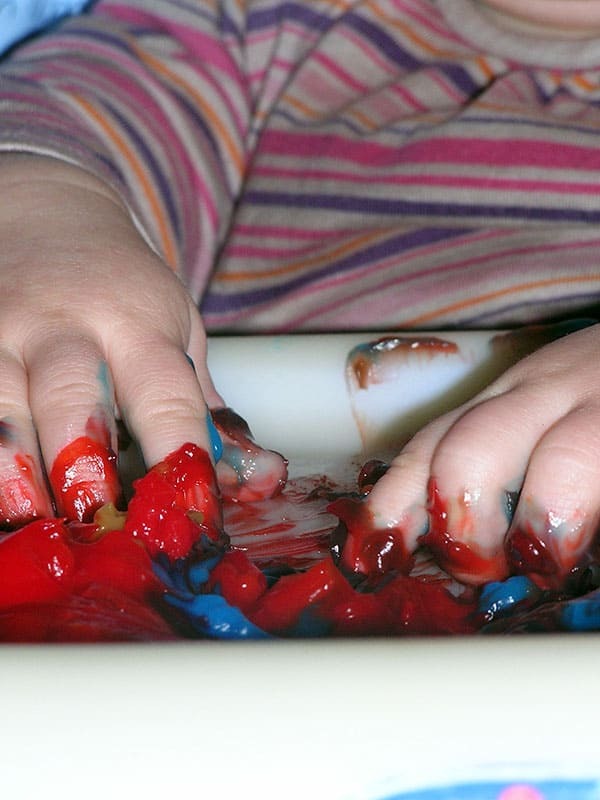 If you find that they are still in the phases of putting everything in their mouth then we recommend our taste safe paints for a sensory colour filled experience without any toxic nastiness. Allow your baby to navigate the world around them by creating an obstacle course! Make sure to use objects that they can’t move or run over such as large boxes or furniture. Next, add in some objects that they can easily climb over such as pillows. 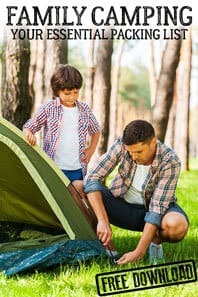 This will not only allow them to burn some energy but learn to do a little problem-solving in the process. During this stage, your baby will start to repeat words they hear and even be able to put together little conversations. Encourage them to speak more by playing games that encourage conversation. A great option for doing this is by “playing phone” using a play phone or even an old home or cell phone you’re no longer using. 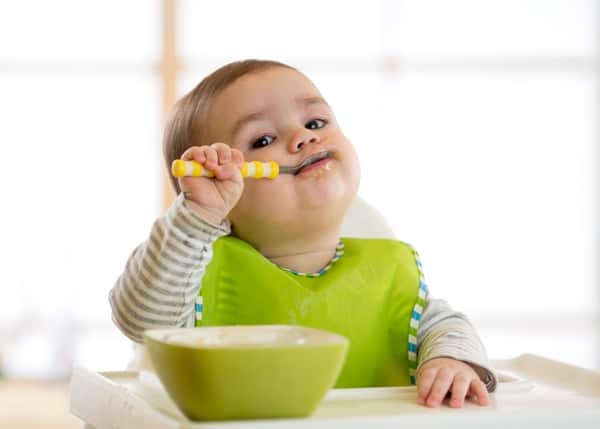 Your baby is still developing their sense of taste at this age, so giving them new flavours is a great way to expose them to all the wonderful flavours that are out there! Make meal times or even snack times more exciting by bringing in a few unusual or new flavours. This is a great age to get them cooking with you. 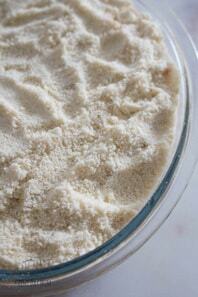 You can have them stirring, squishing or pouring in the ingredients as you cook. We would have the high chair in the kitchen or in a booster seat at the table and cook together. It is messy but also a lot of fun! 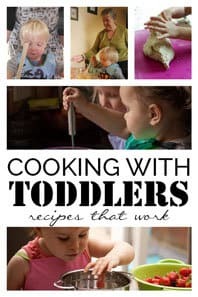 Check out the recipes that we cooked with our own kids when they were toddlers in our favourite recipes to cook with toddlers. In just one month, your baby will be 12 months old. It seems like just yesterday our little ones were born and before you know it, you’ll be celebrating their first birthday.